Pakistan has called on India to make "fool-proof arrangements" for the security of the cricket World Cup in the wake of media reports about possible terrorist attacks on the venues of the tournament. Reacting to reports in the Indian media about "planned terrorist attacks on cricket World Cup venues" that could be "launched from Pakistani soil", Foreign Office spokesperson Tehmina Janjua said, "We hope that India will make fool-proof arrangements for the security of the cricket World Cup." "Pakistan, itself a victim of terrorism, takes all such reports seriously," she said in a statement. Janjua said "terrorism has no borders" and is a "vicious phenomenon that all must collectively confront". Media reports said India had sounded an alert over possible militant attacks on the World Cup though there were no specific threats. The alert was sounded on the basis of intelligence inputs received over the past few months, Indian officials were quoted as saying. 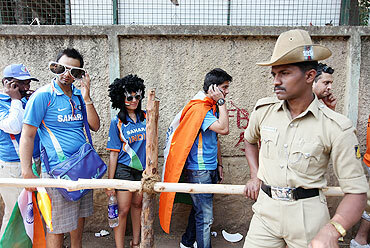 The cricket tournament is being played in India, Bangladesh and Sri Lanka and will end in Mumbai on April 2. At the same time, Janjau said Pakistan had already conveyed its "concerns about vituperative statements being made from within India about the participation of Pakistan's cricket team". Though she did not give details, this was an apparent reference to the Shiv Sena's that it would not allow Pakistani cricketers to enter Mumbai should they reach the ICC World Cup final, slated to be played at Wankhede Stadium on April 2. Janjua also said Pakistan is looking forward to the forthcoming meeting of Interior and Home Secretaries, to be held in New Delhi during March 28-29, to discuss counter-terrorism. 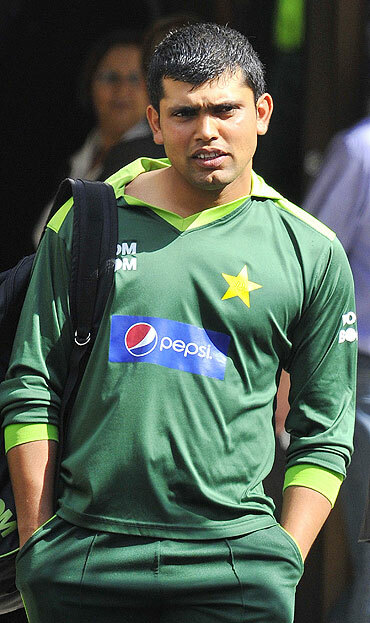 Pakistan leg-spinner Danish Kaneria has urged the team management to persist with the out-of-form wicketkeeper Kamran Akmal in the ongoing World Cup. Kaneria, who has suffered the most at the hands of wicketkeeper Akmal as far as dropped catches and missed stumpings are concerned off his bowling in the last few years, still feels that Pakistan would make a big mistake if they try out Umar Akmal as a keeper by dropping Kamran. There are growing voices for dropping Kamran from the team after he dropped New Zealand's centurion Ross Taylor twice in one over of Shoaib Akhtar as Pakistan suffered a big 110-run defeat against the Kiwis. In general also Kamran's form both as a 'keeper as well as a batsman has been disappointing in the mega-event so far but when Kaneria felt otherwise. "Pakistan need to reassess their reaction to the faltering wicketkeeper's promising talent. How feasible is it to break the rhythm of a team which entered the World Cup with a bang?," the leg-spinner said. "I would still back Kamran simply because of his experience and his immense batting talent. The team management right now needs to offer him maximum encouragement. What he needs now is confidence," he added. Last year during the Sydney Test against Australia, Kamran dropped catches and missed two stumpings off Kaneria's bowling as Pakistan lost a close game. But Kaneria felt that pressing the panic button would not be the right reaction. "It is true that catches win matches and Pakistan lost to New Zealand because we dropped catches but it is also a fact that Kamran offers enormous potential with the bat and he has been with the side for a long time. And we don't have any other specialist keeper in the World Cup squad." He also added that opting for Umar over Kamran to do the keeping duties would be synonymous to pressing the panic button and would send out a wrong message to the other teams. "This would not only disturb the harmony of the team but will also detrimentally affect the team's unity," he said. Reacting to allegations that he failed a dope test, Sri Lankan all-rounder Tillakaratne Dilshan said the entire episode was an attempt to distract his game. Dilshan reacted to rumours with a brutal 144 runs off 131 balls, which included 16 boundaries and a six, against Zimbabwe during their World Cup Group A match in Pallekele on Thursday. To cap off a memorable day, he then took four wickets for four runs to see Sri Lanka through as the first side to qualify for the quarter-finals of the tournament. "On Wednesday, there were reports that I had failed a dope test. It is not the first time these kind of allegations have surfaced -- they have done so after every recent tournament I have played in. "What actually happened is the International Cricket Council randomly selected Ajantha Mendis and Chamara Silva to give blood samples after our game against Australia. 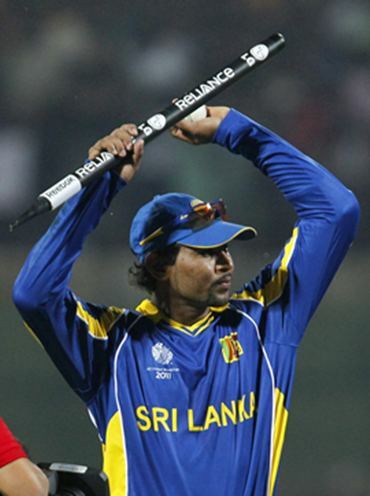 They did not even take my blood sample, so I simply don't know where these reports have come from," Dilshan told the BBC.